In order to meet our planning conditions and before we could begin construction, Broadhempston CLT had to provide onsite welfare for the self-builders. So as usual we wanted to do this as cheaply as possible. So instead of paying for a Porter Loo during the construction period we decided to make a compost toilet instead. 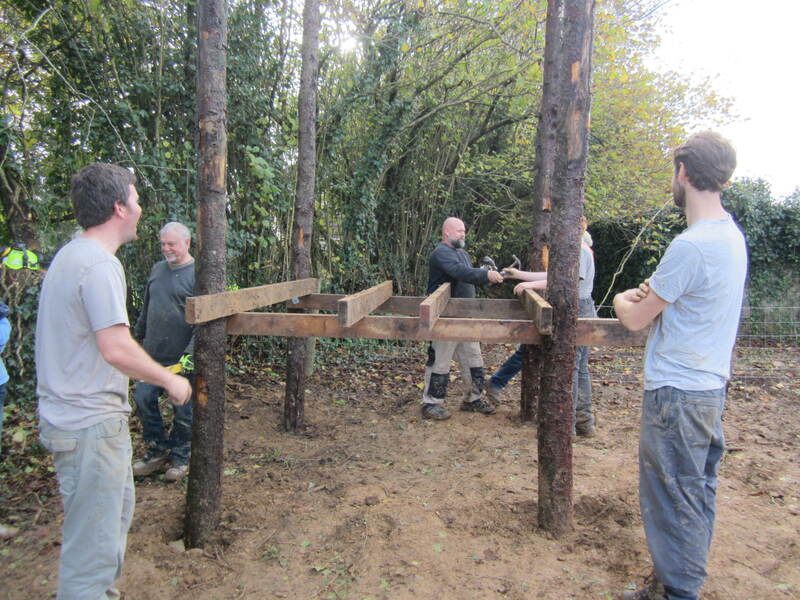 The first stage of the compost toilet was to erect four large tree trunks which would make up the four corners of the compost toilet. 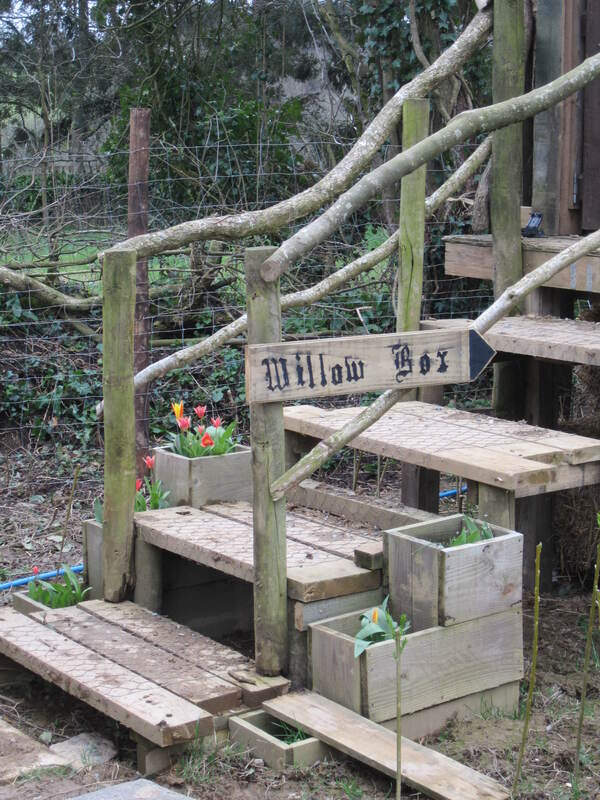 A platform could then be built around the corner posts forming the floor of our compost toilet. 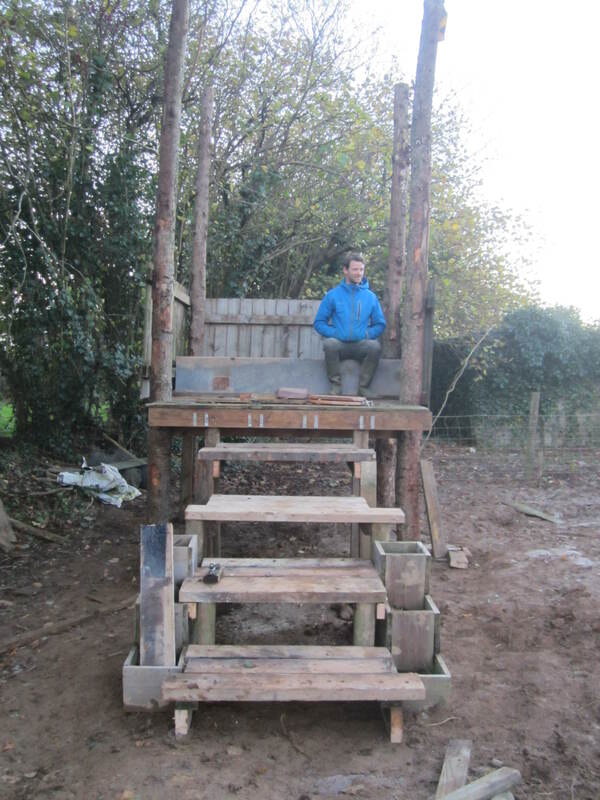 Then a few weeks later….. and as if by magic, some steps were built up to the platform. Roger also had a fantastic idea of using an old water trough as the toilet base. Old timber cladding from a shed was then re-used for the toilet walls. Hugo enjoying his first open air test poo. Then a couple of weeks later corrugated iron was used for the roof and some chip board was used as a partition wall, effectively creating two compost toilets side by side. This means that one can be rested whilst the other one is in use. Unfortunately, at this point in the compost toilet build we became less enthusiastic about taking pictures. 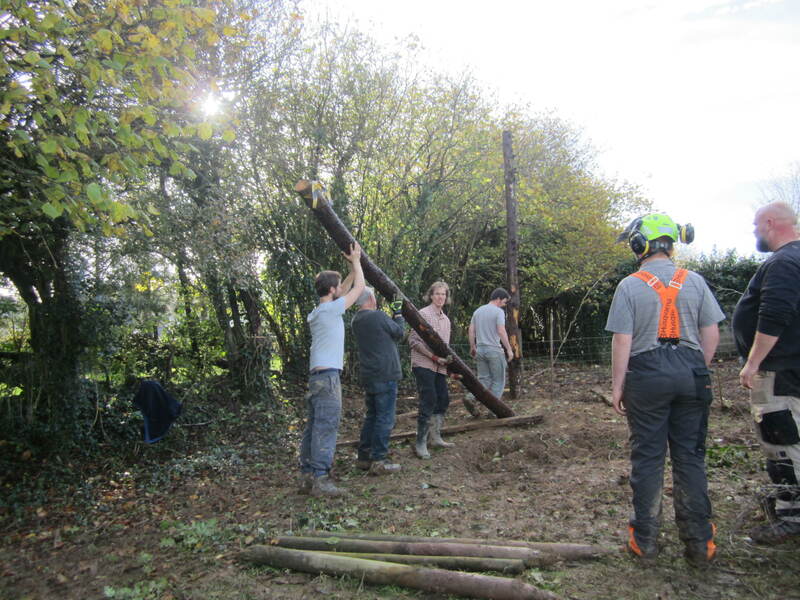 If however, you are still interested in seeing how we completed the compost toilet then please take a look at this short video, which also explains a little bit about how our project started.